And I don't care. All things are strange. And I don't care. It doesn't matter. 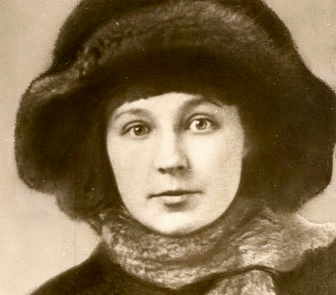 Marina Tsvetaeva (1892-1941) is one of the poets who made me want to study Russian. This is one of her best known poems, and Paul Schmidt's English version reproduces both Tsvetaeva's depth of feeling and the disarming freedom of her associative leaps. I'm thinking of Anna Deepenbush's wonderful song Heimat, as I read this---and of your excellent translation. I will save them both and use them in my book on the meaning of home, called WHERE THE HEART IS....thanks, as always for finding the red thread that leads us home.